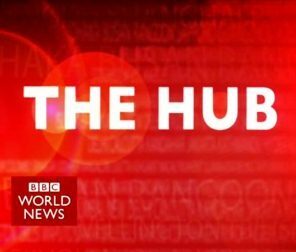 The following interview was conducted by Nik Gowing on the BBC Hub Programme, on 24th November 2010. This was well before the revelation on Wikileaks that Mr Miliband had made it clear to American diplomats that electoral considerations governed his approach to Sri Lanka. NG: Let me come back at you because you said that he was pardoned, but the fact is a journalist like Tissa was jailed for 20 years (this was perhaps unwitting carelessness, he may have meant to say 20 months), he was pardoned the following year. He then – therefore – spent a year inside for being accused (again carelessness, or sleight of hand, he was actually found guilty, and given the minimum sentences for each charge, his lawyers failing to ask that the sentences be concurrent) of writing things which were politically motivated. Journalism is about freedom of expression. RW: My dear Nik, you have to know, just as you’ve said recently (in your programme), your MP (in the European Parliament) was punished for saying things, and there are limits to freedom of expression. We in Sri Lanka have suffered from terrorism; you guys had a Prime Minister killed nearly 200 years ago. We have suffered (more recently), so has India. And as I told you, the Indian journalist, this wasn’t Sri Lankan, Subramaniam Swamy described Thissanayagam’s writings as pure LTTE propaganda. He received money from the LTTE. You know I’m sorry, but you know Mr. Miliband and his Hampstead intellectuals may think there are good terrorists. As I told you, the British Government funded Tissainayagam. I think you should investigate that, just as the new British Government is investigating the appalling things that happened in Uzbekhistan, when your poor ambassador was dismissed for blowing the whistle. (Nik interrupts) I think you should investigate why you funded Tissainayagam. Please Nik, why doesn’t the BBC look into your faults, why do you concentrate only on ours? Please, look into what your Government did in funding what Indians have described as pure LTTE propaganda. We don’t like terrorists, we have suffered from them. NG: Let me put it to you, the BBC is always analyzing its journalism, and that is done independently and internally. And let me remind you that Mr. Milliband is no longer the British Foreign secretary. NG: (interrupts) The issue is about press freedom, if I may put it to you. NG: Doctor Wijesinha, I have to stop you there. I was asking you specifically about journalism and you have broadened the issues. RW: Well, I told you about what this means in Sri Lanka. NG: (Interrupts) I have to stop the interview there in the interests of balance (Cuts the interview short).